On the appointment of the Vice President of the International Adoptions Commission (Cai) by the President Gentiloni we will present tomorrow to the Chamber and Senate interrogations to know the reasons for the replacement of the magistrate Silvia Della Monica. The former Vice President Della Monica has uncovered and reported at all levels, political and judicial, a chilling reality of pedophilia and international traffic of children, particularly from the Congo, on which there is an investigation of the judiciary at the center of which is an association for international adoptions, Ai.Bi. [Amici dei Bambini]. Friday night, as reconstructed by Fabrizio Gatti of L’Espresso, the President of AiBi welcomes the “dismissal” of Della Monica shows his satisfaction, on Twitter, and he had threatened to sue adoptive families who denounced the tragic events of the adopted children. 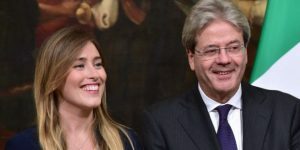 In the interrogation we will also ask if the Government does not consider reasons of political inappropriateness in the appointment of Laura Laera, Judge of the Juvenile Court of Florence, certainly competent and irreproachable but the spouse of Francesco Greco, the Milan prosecutor who also has his own investigating Aibi. Finally, we will ask the cancellation by administrative means of the appointment made in the Cai by undersecretary Boschi, delegated by the President Gentiloni, which has opened an obvious conflict of interest by appointing as a controller a representative linked to a controlled, once again Ai.Bi.. It is really worrying the behavior of the government.